It's a curious fact that female pioneers in maths and science require extra scrutiny. Because we need them as role models, we need to be doubly sure they weren't flukes or imposters. Their work, even their characters, can be exposed to analyses much more minute than many men have had to endure. It's ironic, really. 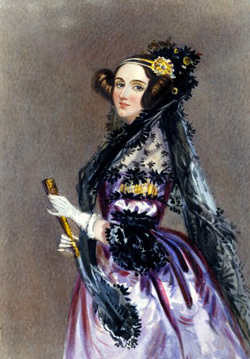 A famous watercolour portrait of Ada Lovelace. Ada Lovelace is a prime example of this. Born 200 years ago, in 1815, she is hailed as the world's first computer programmer; a visionary who anticipated modern computers long before they were invented. Since 2009 Ada Lovelace Day has been harnessing her name for an annual celebration of women in science, technology, engineering and maths. This year has seen the publication of a brilliant graphic novel by Sydney Padua, celebrating Lovelace and her mathematical partner, Charles Babbage, and drawing a lot on clashes of stereotypes. On the other hand, Lovelace has been branded a manic-depressive with the "most amazing delusions about her own talents", her contributions invented by Babbage to give his work romantic flair, and subsequently blown out of proportion by over-eager admirers. She has been called brilliant and she's been called stupid, and it seems we need to make up our minds as to one or the other. So which is it? Ada Lovelace was born on the 10th of December 1815, the daughter of Lord Byron and Anne Isabella Milbanke. Lovelace never met her father. After a rocky relationship with her mother and an incestuous relationship with his half-sister, Byron left the country soon after Lovelace's birth and died abroad when she was eight. Her mother arranged a broad education for Lovelace, emphasising one of her own favourite topics, mathematics, hoping it would assuage any demons Lovelace might have inherited from her notorious father. But Lovelace wasn't a tame character. Curious and imaginative, she toyed with the idea of building flying machines even as a child. The wings, she noted, should be proportional to the body size of the machine (an early indication of scientific insight), but the body would be that of a horse. Machines of all sorts attracted her interest, being the marvels of the industrial revolution, as did a wealth of other scientific advances. She's been described as charismatic and popular, and was adventurous not only in science. At 16 she had an affair, and tried to elope, with one of her tutors, and throughout her married life engaged in various flirtations. Her husband saw himself compelled to destroy many of her letters for their scandalous contents. She reportedly swore a lot, lost a fortune to gambling later in life, and, it seems, had a penchant for alcohol and opium. Not exactly a Victorian stereotype. In 1833, aged only 17, Lovelace met the mathematician, inventor and general polymath Charles Babbage at a society do. The two were introduced by Lovelace's tutor, the Scottish scientist Mary Somerville. Babbage was something of an enfant terrible, not afraid of voicing his opinions. At Cambridge, he had been unhappy with the type of maths that was taught and the notation that was used, and formed a student society as a result. He had refused to sit his final examination, reportedly because he knew he wouldn't come first. He was the author of a scathing attack on the president of the eminent Royal Society, whose council he described as "a collection of men who elect each other to office and then dine together at the expense of this society to praise each other over wine and give each other medals". His unhappiness with the way learned societies were run eventually led to the formation of the British Association for the Advancement of Science (now the British Science Association) in 1831. 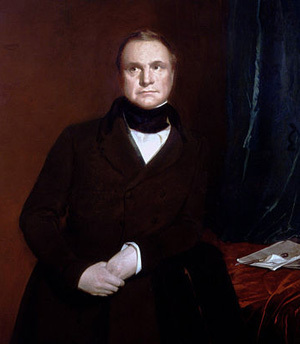 During the 1830s Babbage also embarked on a stint in politics, standing for Parliament twice, both times unsuccessfully. Mathematically and scientifically, Babbage had quite a lot under his belt. Amongst other things, he had played an important role in founding the Astronomical Society in 1820. It was while checking astronomical tables in 1821, and finding error after error, that Babbage exclaimed "I wish to God these calculations had been executed by steam". A strange proposition for modern minds, but steam was what powered Babbage's age. The idea that mathematics, until then confined to people's heads, could be mechanised in this way must have been a genuine novelty for many people. When Lovelace met Babbage, he had already acted on his impulse: he was busy working on a calculating machine he called the difference engine, which, so it was hoped, would churn out accurate trigonometric and logarithmic tables on the crank of a handle. In 1823 the British government had given Babbage £1500 (a huge amount at the time) to produce the engine, but the actual construction was far from straight-forward. By the time the government finally gave up and withdrew its support in 1842, Babbage had spent around £17,000 of treasury money and a lot of his own. Sadly, the machine was never finished. (You can see a portion of it, as well as a version of Babbage's improved difference engine, built in 1991, at the Science Museum in London). Babbage wasn't defeated, however. By 1834 he had already come up with the idea for a machine that was bigger, better, and more powerful than the difference engine. It's this analytical engine, as it was called, that enabled Lovelace to make her mathematical mark. A version of the difference engine at the Science Museum in London. The analytical engine was never built. Image: Wikimedia commons. To this day the analytical engine has never been built in full. That's no surprise. It's a hugely complicated machine, made of many thousands of wheels, as well as axels, levers, barrels and a vast quantity of cams, clutches, cranks and whatever else befits such a huge mechanical monster. It would have stood over 4 metres tall, and at least about 5 metres long: the size of a small railway locomotive. Lovelace was enchanted with Babbage's ideas, and in time became much more than an admiring bystander. By 1843 she had decided she'd force the analytical engine to fruition, informing her mother that Babbage was "beyond measure careless and desultory at times. — I shall be willing to be his Whipper-in during the next 3 years if I see fair prospect of success." Her correspondence with Babbage could be equally direct. "My own uncompromising principle is to endeavour to love truth and God before fame and glory ...", she wrote in 1843, musing over their respective motivations. "Yours is to love truth and God ... but to love fame, glory, honours, yet more." In her letters to Babbage she could be bossy and arrogant as well as charming and coquettish. The feverish bout of correspondence this quote is part of centred on a paper which described the analytical engine in some detail. Its author was the Italian Luigi Federico Menabrea who had seen Babbage lecture about it in 1841. Lovelace could easily have produced such a paper herself, but as Babbage later recalled, the thought simply didn't occur to her. Instead, she decided to translate Menabrea's paper into English. The translation was Lovelace's chance to share what she knew about Babbage's wondrous machine. The version that was eventually published contained a copious amount of her own notes. "The notes of the Countess of Lovelace extend to about three times the length of the original memoir," Babbage wrote in his autobiography. "Their author has entered fully into almost all the very difficult and abstract questions connected with the subject." It's these notes that gained Lovelace her fame. 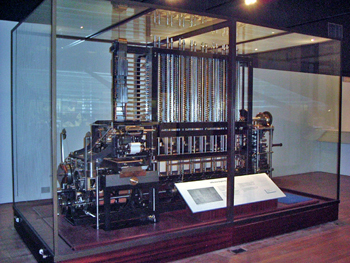 They contain what many view as the first ever example of a computer program and Lovelace's vision as to what Babbage's engine really signified. Continue to the next page: programs and visions. "During the 1930s Babbage also embarked on a stint in politics"
Also looks like another date typo in the sentence before that. Interesting article - thanks very much! Thanks very much for pointing that out, we've corrected the typos.